Invisible Braces are every adult’s dream come true. We are proud to offer Top Quality invisible braces at affordable prices. Get a More Visible and Vibrant Smile with Invisible braces! Are your misaligned teeth making you feel conscious about your smile? Well, if you are looking for a way to realign your teeth without the hassle of traditional braces, Clear Correct is the answer that you have been looking for all these years! Long gone are the days of embarrassing and chunky metal braces. Thanks to the advancement in orthodontic technology, Invisible braces give you the opportunity to gain a long lasting, beautiful smile with absolute ease. Invisible braces work exactly like traditional braces but it gives you the freedom and peace of mind knowing that no one will be able to tell that you are wearing them. They are practically invisible to the naked eye! And that is the reason why so many adults and teenagers are now opting for Clear Correct treatment. Invisible braces are a dream come true for people who are looking to straighten their teeth without having to go through all the insecurity and stigma that is associated with traditional braces. It’s time to take control of your life again and we assure you that we will help you restore your confidence and improve your overall lifestyle. Unlike metal braces, these invisible braces are so convenient and you can easily remove them whenever you are eating or brushing your teeth! The best part is, the treatment period of these invisible braces is much shorter than traditional braces. The average treatment time for traditional braces is approximately 35.92 months with some cases stretching up to 96 months. Clear Correct cuts down the orthodontic treatment time to about 12 – 18 months. That’s roughly half the amount of time it takes to straighten your teeth! Know MORE, gET MORE - INSURANCE INSIGHT HELPS TO CHOOSE WISELY! We have come to realise the one thing that prevents patients from taking up an Invisible Braces treatment is: COSTS. 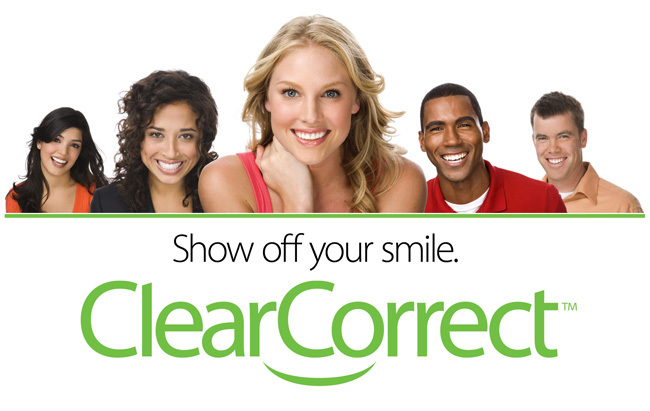 We now offer the great majority of treatments with Clear Correct for $4850. But what most people aren’t aware of is the fact that invisible braces costs about the same as conventional braces. And if you are still worried about the cost of treatment…don’t be. Insurance carriers in Australia will support your Invisible braces treatment as long as you have orthodontic coverage. So, if you do have health coverage that also includes orthodontic or oral treatments, then these invisible braces are absolutely affordable for you! Of course, our main aim is give you the best treatment results. So, not only are you paying for a set of invisible braces, you are also getting your money’s worth through the quality of work and staff competency at our highly applauded dental clinic. Also, don’t forget that you are going to get absolute freedom, security, and flexibility that can only be obtained through the use of invisible braces. Now, that’s priceless! We are absolutely dedicated to our clients and we want to do as much as we can to help you. That is why we provide all our patients with smart and flexible monthly payment plans to help reduce your burdens. When you come in for a consultation with us, we can discuss in detail how we can make your treatment as cost effective as possible at $4850. There is no doubt that orthodontic technology is only going to get better and more convenient as we step into the future. We have come a long way since the inception of the first pair of braces and now we have reached a point where braces are invisible! The treatment is completely unique, and it requires special training and years of experience to properly fit these invisible braces onto a set of teeth. We apply only the latest technology and procedures in accordance to the detailed training and guidelines strictly. So, if you are eager to find out more about how the invisible braces can help you gain a wonderful and mesmerising smile, and help you regain your confidence, simply contact us today to make an appointment to meet with one of our friendly, helpful and caring dentists. Contact us at 1 300 217 858 now!